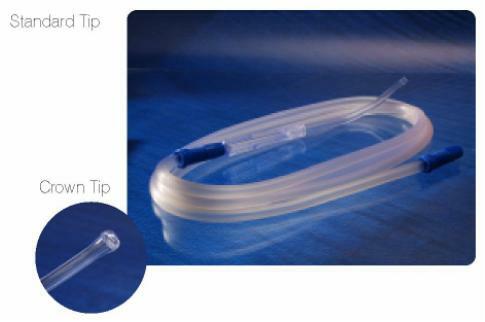 For the drainage from chest or abdominal cavity during surgery or post-operative. The drainage can be blood, body affluent. Flexible kink resistant tube with a length of 2.5 meter for unstructural drainage. Provided with sleeve over vent which can be removed easily to make it vented. Injection moulded handle, free from any manufacturing object. Sterile double packed in tear open pouch.